I talk a big game about making the farm work for us. The apparent weak link in all of that is the alpacas. 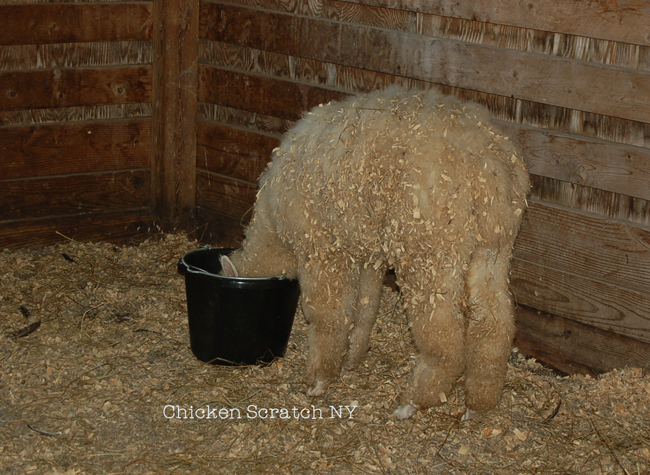 We don’t do anything with the fiber, they’re usually very dirty by the time we shear them and I don’t spin any way. The poultry all serve the purpose of insect control, eggs and meat. I’m sure as heck not going to eat the alpacas, so what do we keep them for? Well, they’re mostly just pets. Fred (brown, female) and George (white, male) are very personable. They absolutely adore children. And they like to take the occasional snack out of your hand. 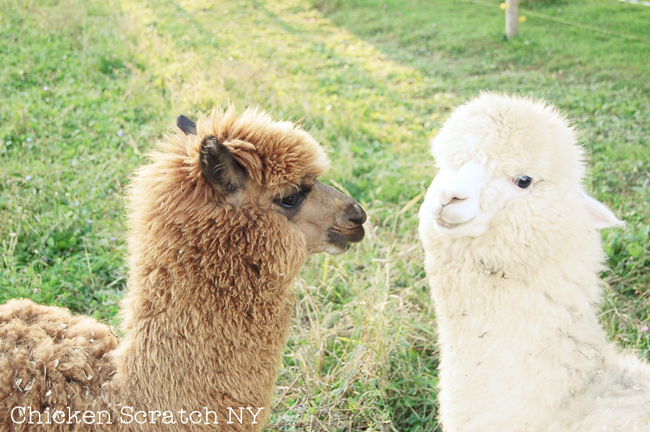 The alpacas are very gentle, their main defense is kicking but usually they’ll just run away if they’re bothered. We do have one small issue with them… they are exhibitionists. They like to practice baby making skills when they have an audience. Like a house warming party or a Fourth of July cookout. 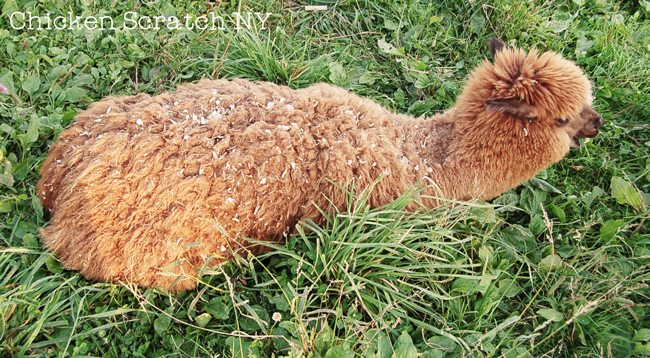 Did you know alpacas mate laying down? It’s an extra fun fact we get to share with our guests. Aside from impromptu biology lessons they do provide a few bonus services for us though. Their poop for one, it’s like steroids for plants. When we plant new trees or bushes we add some alpaca ‘beans’ into the holes and I use them to side dress established plants. 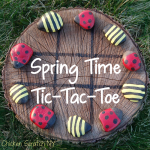 They have designated poop spots too, one in the barn and a few in the pasture so it isn’t too hard to find some when you need it. They keep the main part of the pasture grazed down. Alpacas don’t eat very much and don’t need a ton of space, the most common number I see thrown around is 1/8 acre per alpaca. We have more than that but I always prefer to give as much room as possible. 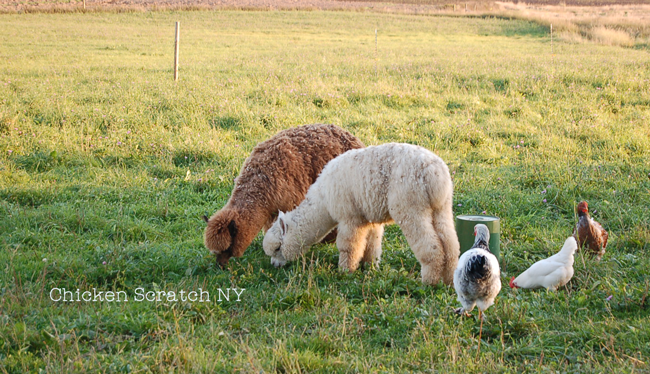 The back pasture is open to the alpacas but they tend to stay in the front part. The back is wetter and overgrown so I really can’t blame them. 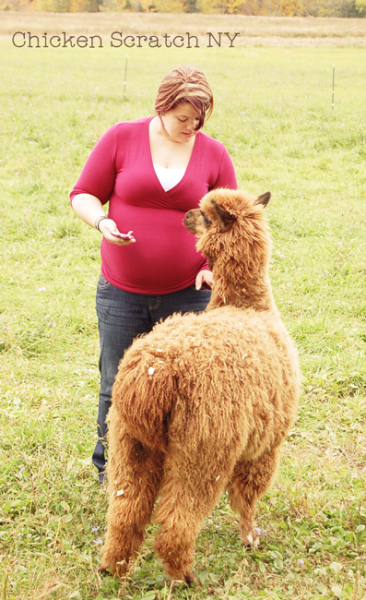 A lot of people will throw alpacas out as guard animals for poultry. I can say that ours are NOT guard animals. Fred will alert us if something isn’t right but neither has chased anything off (I’ve literally walked into the pen when a fox has been ‘visiting’ and they’ve done nothing more than hum). A few times last summer I heard Fred give out a warning call. One time was particularly scary for me. I was out checking the have-a-heart trap in the back field, surrounded by waist high weeds, when I heard the strangest noise. Fred doesn’t call out very often, and it’s a really weird noise, so I wasn’t even sure what I was hearing until I noticed Fred staring out right behind me and calling. I called Mike on my cell and he brought out Mary and a gun. He handed me the baby and we stayed in the field watching Fred for her insight and he went out walking though the field with Alfie. We never figured out what was upsetting Fred that day but if I had to guess I’d say it was a fox. 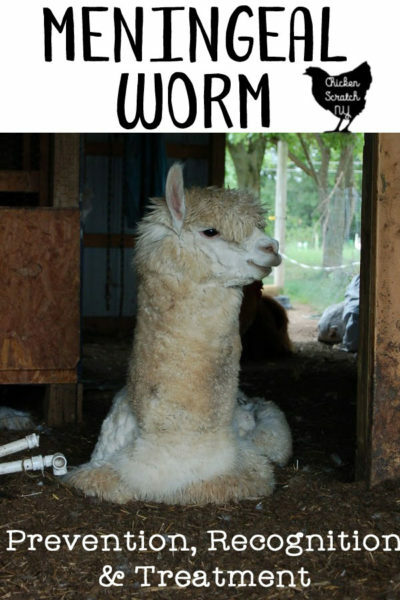 As far as resources go the alpacas are the least expensive animals we have. Aside from yearly shots and hay in the winter (one bale lasts over a week) they don’t require anything. They do best when they’re allowed to graze for all of their food. We give them the occasional treat and they’ll occasionally snag some scratch from the chickens. We also keep a mineral block with selenium in the barn in their ‘stall’. I also clip their toenails. Usually just George needs it, Fred must be visiting a manicurist on the side because hers are always fine. They also need monthly shots. You can read about that on my Meningeal Worm Introductory post. This article made me giggle. I love your writing style! Going to subscribe to your blog as well 😀 I have never owned alpacas but have had chickens and currently raise rabbits. I also love to knit, so would certainly have a use for all that fiber! I enjoyed your piece. 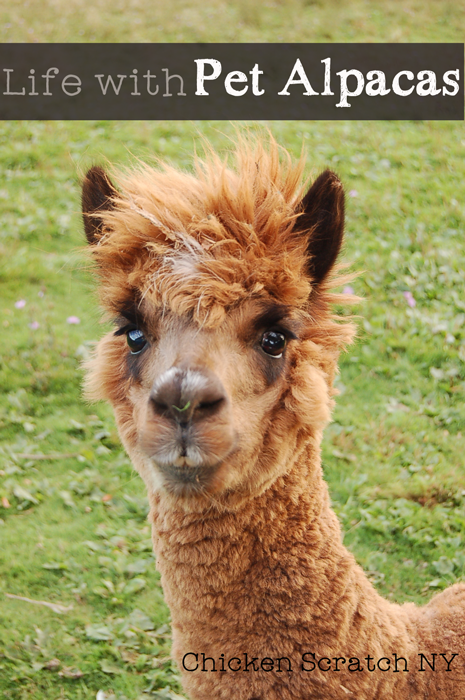 I have friends who have had over 100 alpacas on their property. They are currently in the process of downsizing the herd. I’ve enjoyed visiting their place and mingling with their lovely alpacas. Your piece brings those nice memories back. This is so interesting! I wish I could come visit honestly. Alecia I love this post. We also have an animal family that includes 5 alpacas better known as the Girls. Since we don’t have a male we don’t get the mating lesson but Ms Dot and Lily love to point their rears at visitors and pee/poop. I like to think it is a welcome and just showing the guests where to do their business, my husband thinks otherwise. What do you do with the fiber? Would you be willing to give it a happy home? 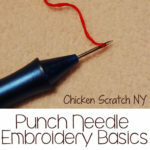 Great article and very informative! Easy to follow your daily routine with your alpacas.